“I didn’t know what politics was about until I saw it all happening to people,” Nadine Gordimer said to Alan Ross in a 1965 interview. She had been 15 when she wrote her first short story, about 25 years old when apartheid had been formally institutionalised in South Africa. Gordimer died this week at the age of 90 in Johannesburg. Her legacy included 15 novels and almost 20 short story collections. By 1965, Gordimer was becoming well-known for her fiction. Some of her closest readers were in the State Publications Control Board, where censors argued whether A World of Strangers (1958) was a desirable or undesirable work of literature. 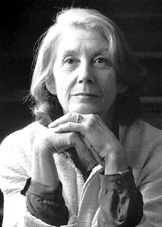 Gordimer, unlike many of her fellow South African writers, would not be jailed for her art, though three of her novels – including, A World of Strangers and Burger’s Daughter (1979) – were banned for long periods. There were no picket fences or cordoned-off lines between Gordimer the writer and Gordimer the outspoken political activist: the censors were evidence of how closely her fiction bled into the real world and vice versa. The men who banned authors such as Athol Fugard and Gordimer, who decided that Es’kia Mphahlele was to be banned from teaching, were often colleagues, fellow writers and academics who did their censoring in secret. Censorship under apartheid extended, infamously, from books outwards. People could be “banned”, and not allowed to speak in public or meet more than one person at a time; these laws were in force against Nelson Mandela, among others. Gordimer saw literature as a sacred calling, the writers’ task being nothing less than exploring the entire world. In her Nobel lecture, given in December 1991, she said: “Writing is always and at once an exploration of self and of the world; of individual and collective being. Being here.” But her life as a writer had begun with the refusal to look only at what was safe to look at: when she saw Johannesburg, she saw (with greater clarity over the decades) how her country was split into black and white, how the schools were different, how a black child like her might not grow up to be a writer as she had, because only one of them had the right of access into the local library. “Censorship is control of communication,” she wrote in 1972. The aim of the censors was to act as a political weapon of apartheid, to bring about a situation “where there is ‘no communication’ between South Africa and the ideas that might cause us to question our way of life here”. Censorship, she continued, had successfully wiped out the literature of black South Africans – either their writings or their own selves had been banned. The worst kind of ignorance was something she regularly breached, much to the alarm of the censors, in her own writings: the ignorance of white people about the inner lives of their countrymen of another colour. To write about these lives without appropriating them required a particular skill, and there Gordimer trusted her own writer’s ability to inquire as deeply into the human condition as possible. “First, you know, you leave your mother’s house, and then you leave the house of the white race,” she said in another interview in 1962. And she was outspoken and firm in her defence of Salman Rushdie during the years of the Fatwa. She wanted people to recognise how the plight of one individual was an echo of a wider attempt to silence (sometimes murderously) dissenting, inquiring or provocative voices. Her later story collections – Jump and Other Stories, Loot and Other Stories – and novels – The Pickup, No Time Like The Present – ran in parallel to Gordimer’s active participation in worldwide anti-censorship movements, her growing involvement with the Aids crisis and the government’s handling of public health issues. In Gordimer’s world, the writer’s life had the private side to it, the disciplined days and weeks when she was alone with her writing, and the public side of committees, protests, letters to various regimes, and she embraced both with almost equal keenness. In person, she was a slight woman with a formidable presence and a piercing gaze; she was polite rather than imperious, but conveyed the unmistakable impression that she would not allow her time to be wasted. But it was perhaps when she read from her works that she was most compelling. In an early recording, she reads from a tart short story, her voice sharp, birdlike, completely in command of the stage: a voice that invites listeners, expecting them to listen in respectful silence. Some 40 years later, Gordimer read from Jose Saramago’s touching The Centaur, and her brisk voice softened a little around the sentences that speak of a pursued creature without a homeland, destined to be a permanent refugee. Exiles, the marginalised and the persecuted, those who had been told they didn’t belong: this had been her territory, too. Nilanjana, a beautiful account of Nadine’s life, i didn’t know. I mean there are many creative authors valuing freedom of speech that are so alien to and her death is a loss to literature.